Home » How to Use Garbage Bags for Moving? There are ample packing supplies available in the market. Some packing bags are fancy and available at a high cost and some are pretty affordable. But do you have any idea that your garbage bag can do the same job for you? Garbage bags can be used to move clothes, linens, soft toys, and non-breakable items easily. Protect your important items on a moving day by keeping them in a garbage bag. It is a much cheaper option as compared to the cardboard boxes and bubble wraps and can be reused again and again for a different purpose. If you are planning to move for the first time and are unsure about what to do, no need to worry. There are many professional moving companies that help you save time and money by assisting in the best possible manner. 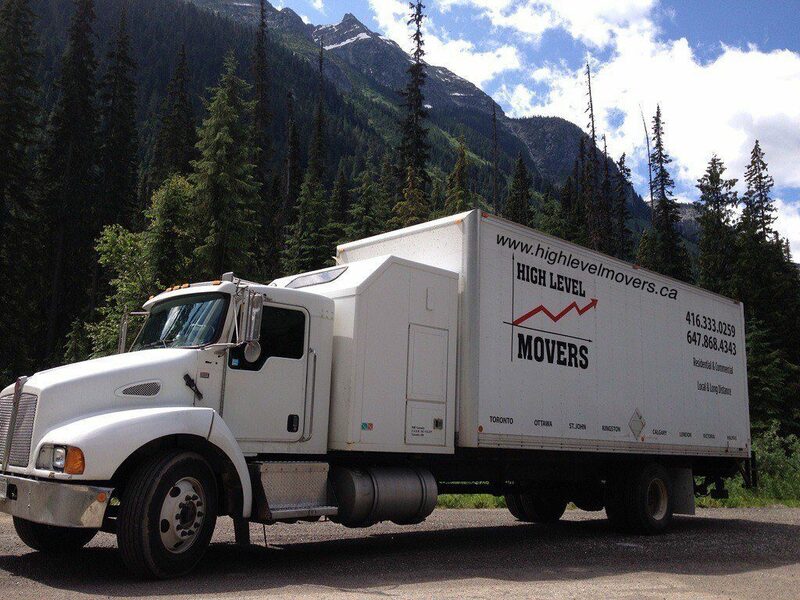 High Level Movers will help you throughout your journey of moving. We are well-known for our moving services in the Toronto region. Heavy-duty bags are your best partner as these thick, black garbage bags can easily carry more weight as compared to any other bag. They have usually less chance of tearing or breaking. Outdoor bags are more robust and strapping than others and they will hold up better for your move. You can use them for the heavier items as they do not tear easily. It is really important to label your garbage bags as after your move you might end up losing your clothes or significant items if you throw them in the trash by mistake. Use a regular adhesive tape in a solid color and write with a marker. Keep the label bold and large. Review your checklist up to date before moving. Go for the largest garbage bags you can find and use them with ties as it will give you a more effective seal. The seal protects the things and ensures nothing gets spilled out. These bags are best for clothes and other light items. Breakable and sharp items must be avoided. Pillows, cushions, bedsheets can easily be packed inside the plastic bags. Also, instead of wasting time keep the hanging clothes off the hanger, just pack the clothes directly with the hangers. Slide the sides of the bag up and secure the ties. Keep your clothes safe and avoid the hassle of hanging and unhanging. Stuffed animals and nonbreakable toys can easily be kept inside the garbage bag for moving. The process can be done in an expeditious and painless manner. Also, it is easier to locate these items in future. Now your little one will not have to wait for the toys after moving. Garbage bags are a perfect source for packing fabric-based items like clothing, linens, and towels since they do not need any support of the box. Fold each item before placing them in the bag so that when you unpack after the move, your time is saved. Garbage bags are a wonderful and cost-effective option. Things get packed up easier and one can reuse as many bags after moving too in order to reduce the environmental impact. Save your trip to the store to buy bags and make use of them.